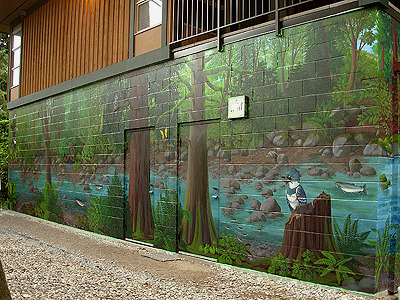 Quality custom murals, wall art and installation for your home or business is available to suit your individual projects by Vancouver Muralist / Artist Kim Hunter / Indigo. 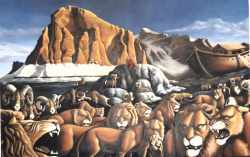 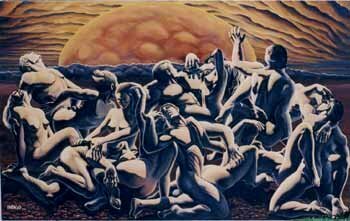 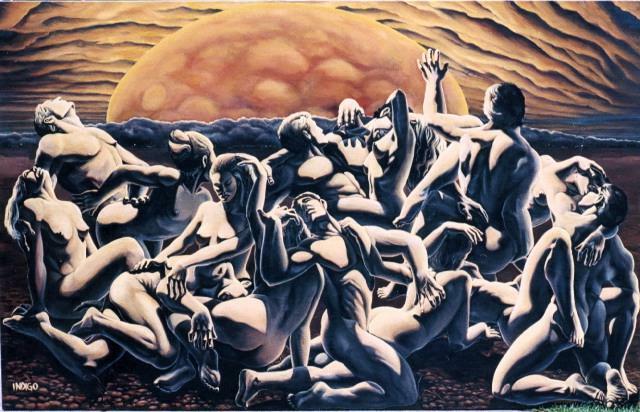 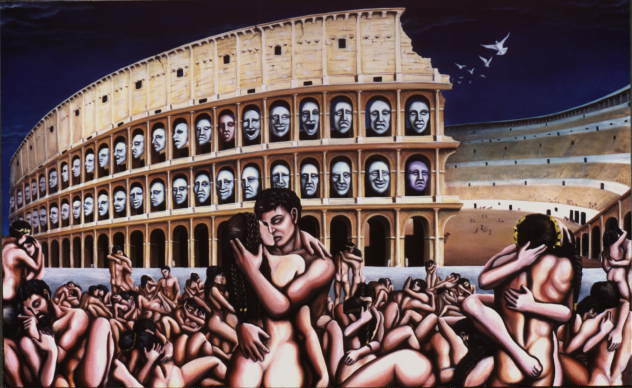 From realism to impressionism, art deco murals and even faux finishes, wall paintings and murals on canvas are a some of this prolific & professional artist's repertoire. 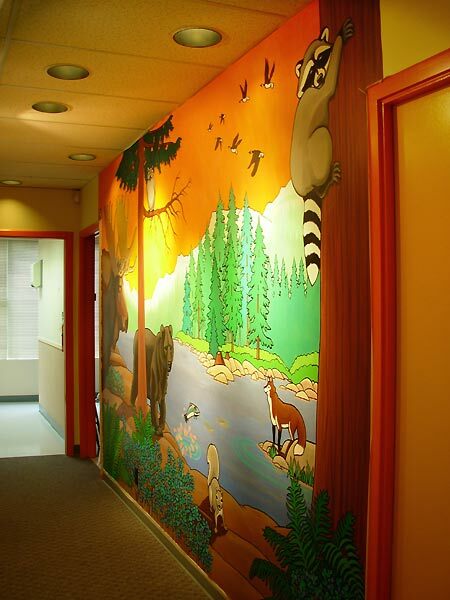 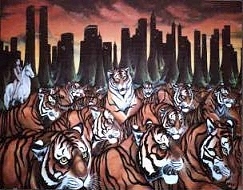 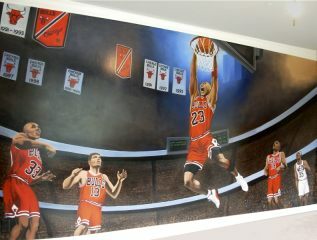 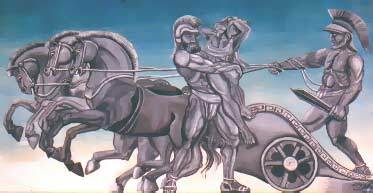 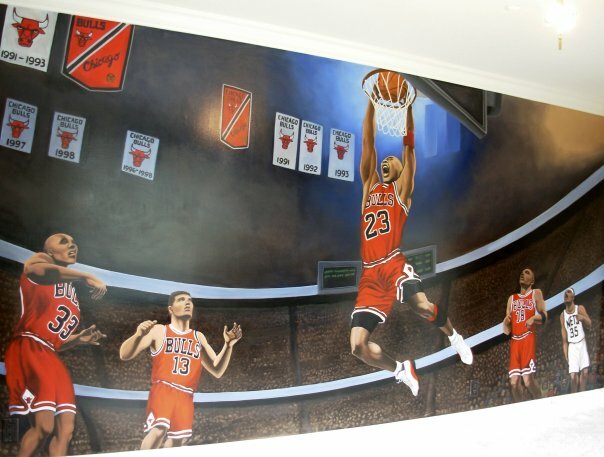 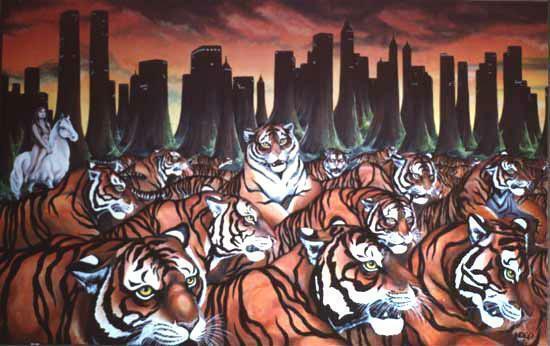 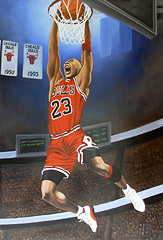 Large or small custom murals for commercial and private projects are available. 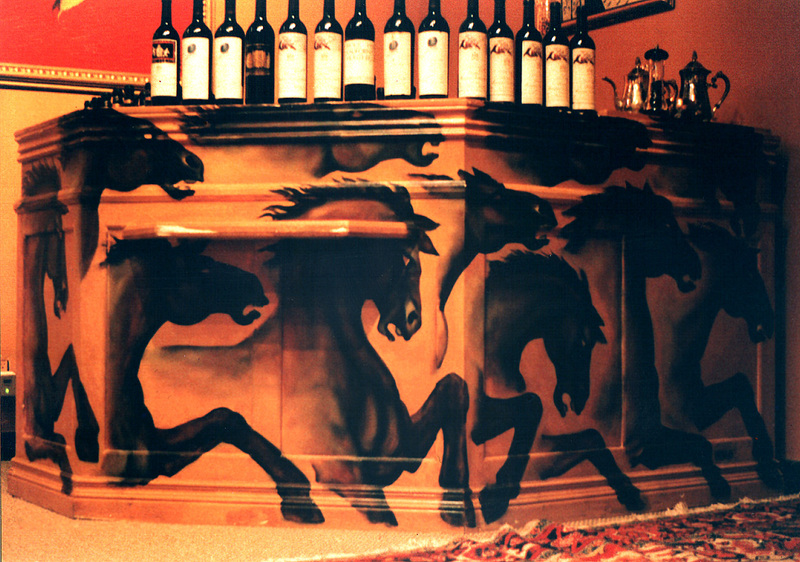 With a portfolio of vast and varying expertise, the wide range of styles, mediums, surfaces and sizes available are sure to please the most discerning of patrons. From concept to completion, custom large or small indoor or outdoor wall murals are available for private, commercial, civil and non-profit patrons. Kim's vast experience and proven track record guaranties complete satisfaction with your original one of a kind custom mural painting or art installation. Contact us for a quote or to schedule your next mural. 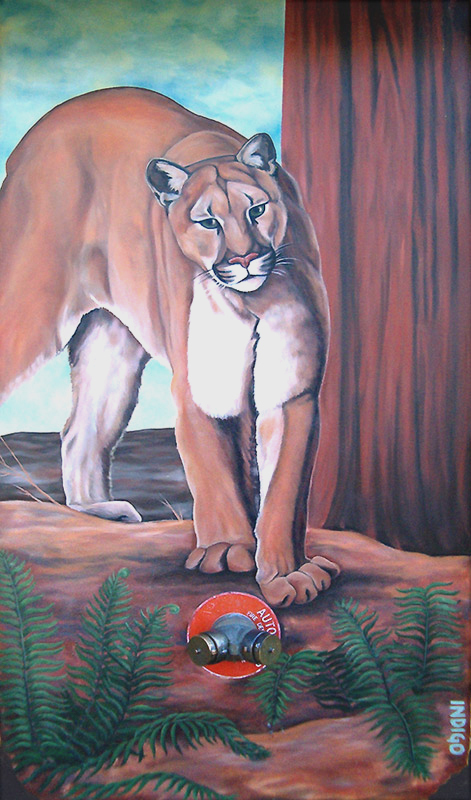 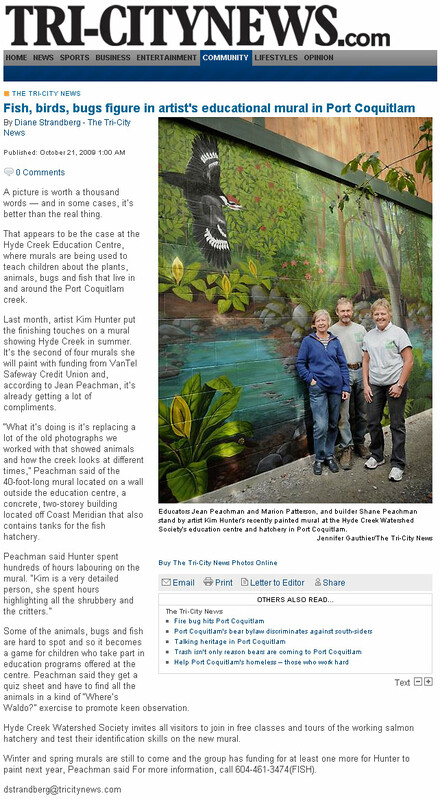 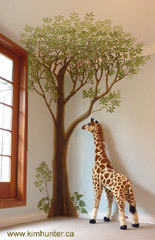 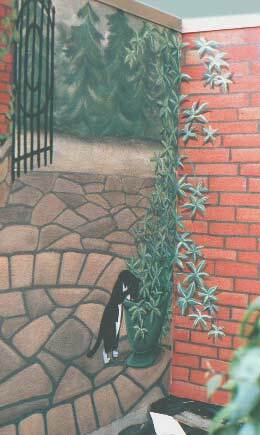 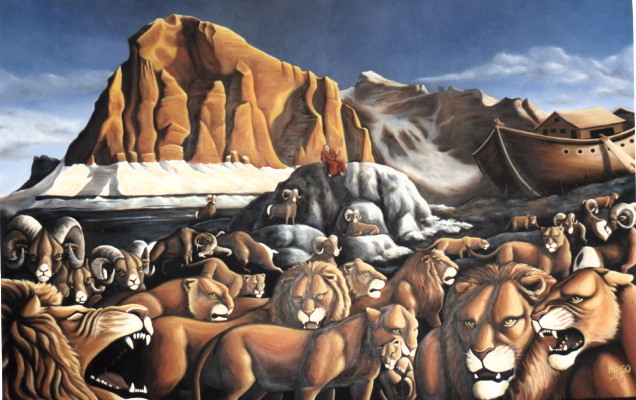 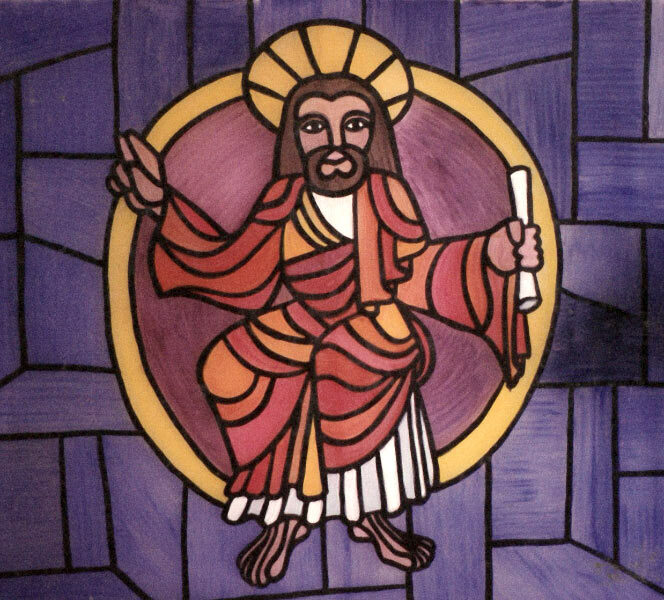 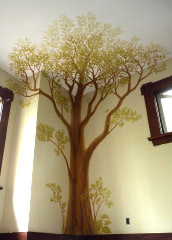 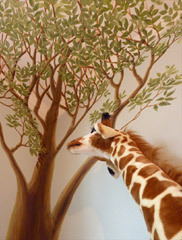 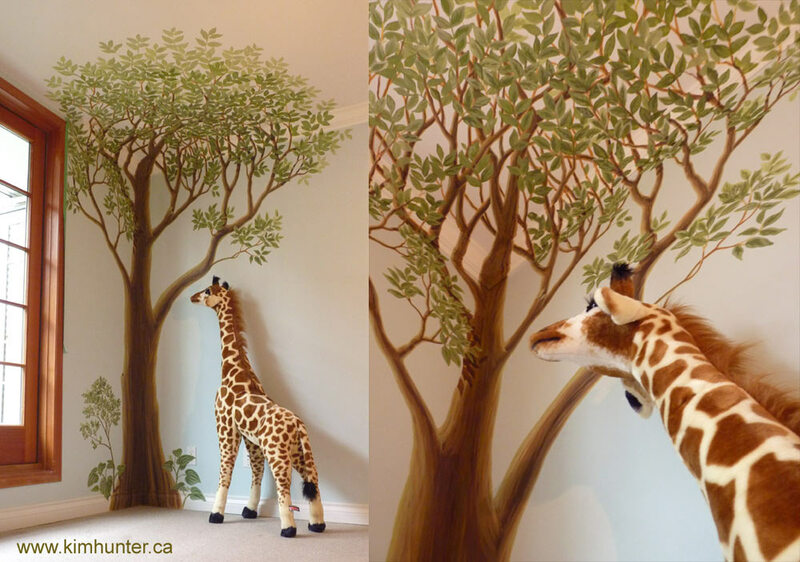 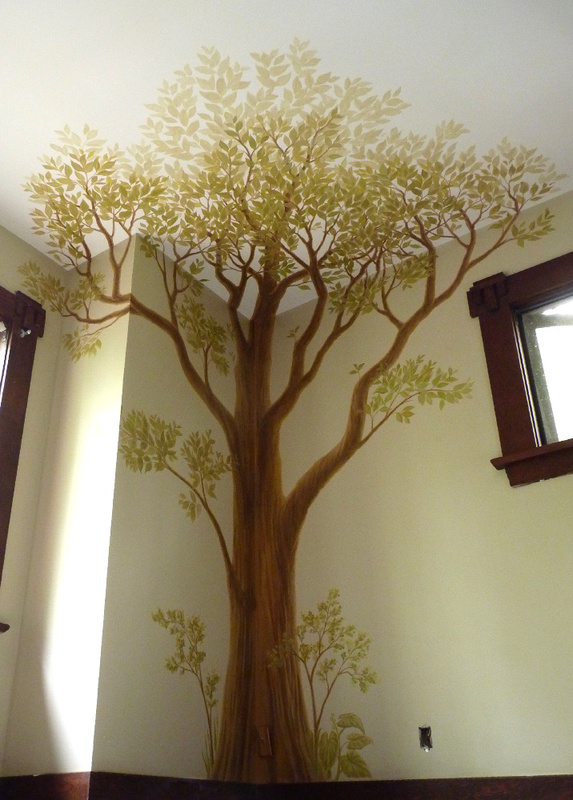 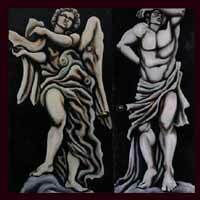 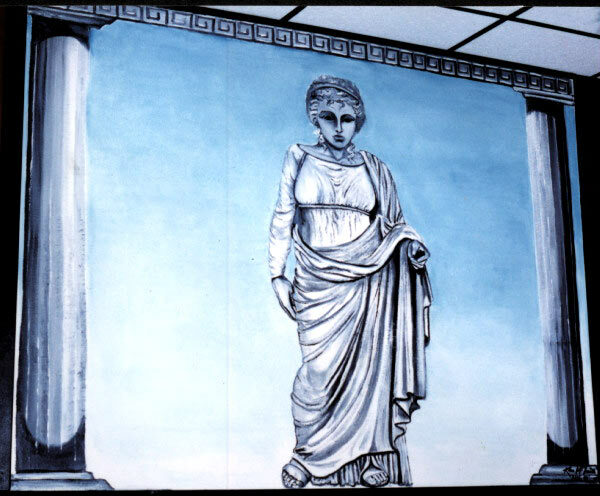 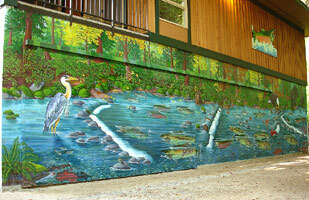 See Step by Step Mural Paintings by Kim Hunter. 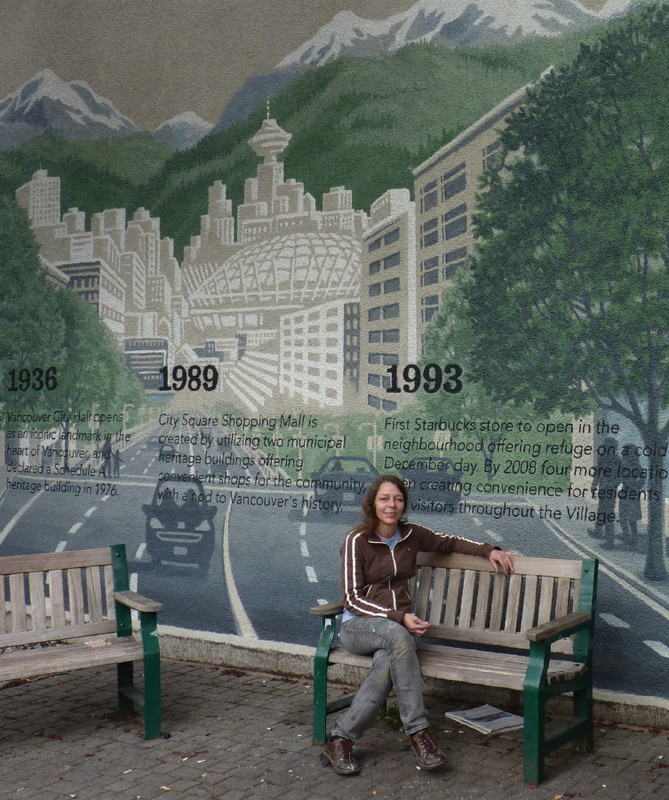 Times Square Suites Vancouver BC Denman St. @ Robson St.
Visit the Hyde Creek Watershed Society Online. 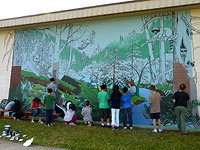 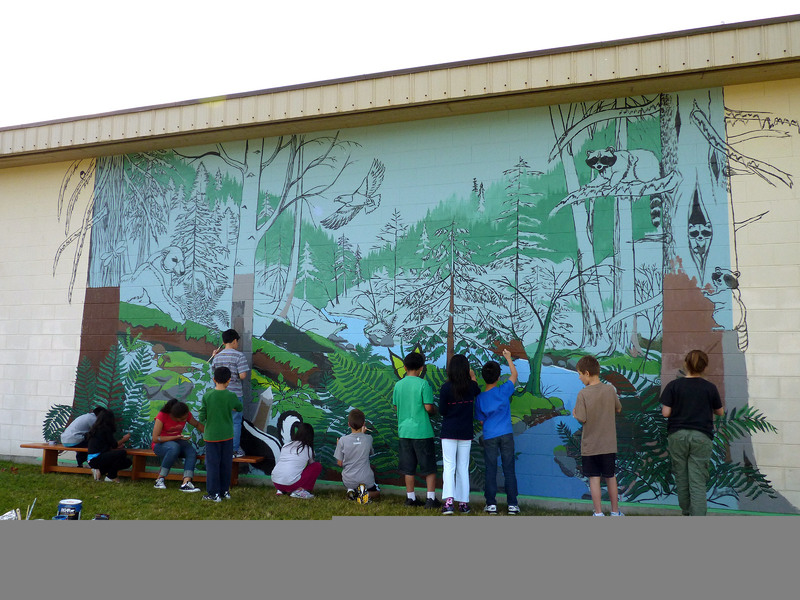 Grades 3 - 8 helped paint their mural. 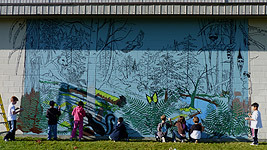 All the students did a great job! 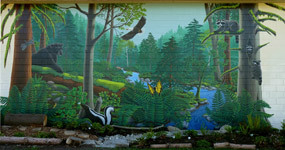 Visit Stanley Park Ecological Society online. 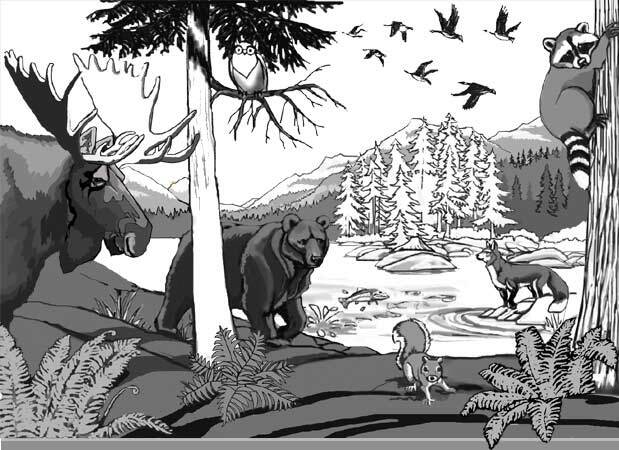 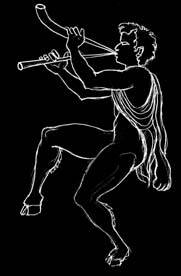 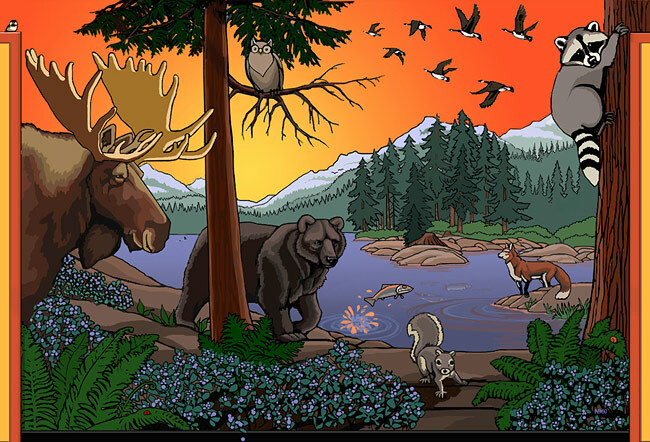 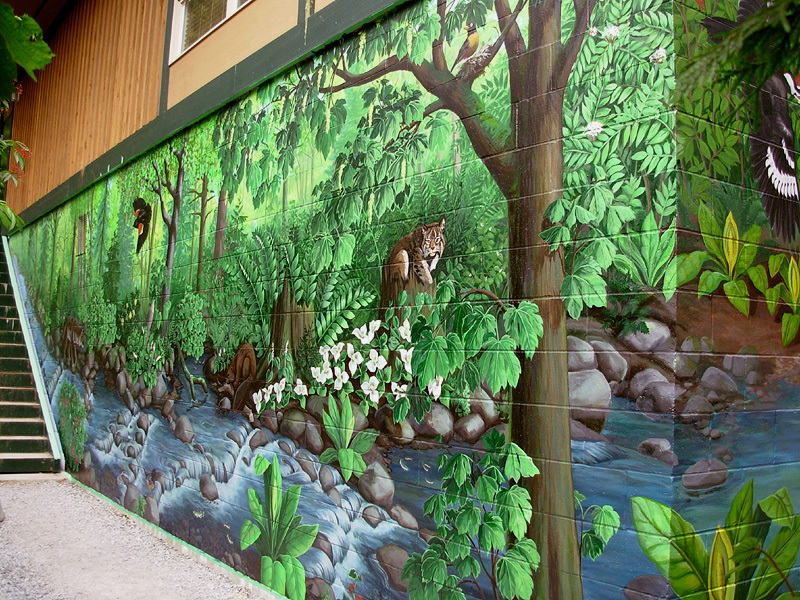 Changes and revisions are done to the design of the mural once the rough composition is determined. 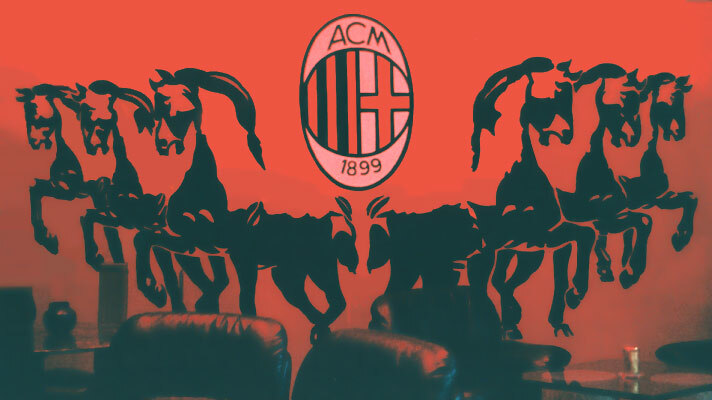 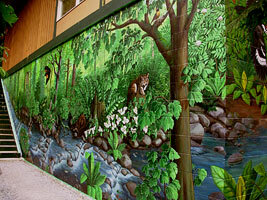 A colour mock up of the mural is created and can be superimposed onto a digital photo of the wall. 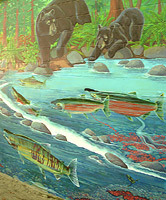 Hyde Creek Educational Centre and Salmon Hatchery murals depicting the Classroom Salmon Enhancement Program, the Annual Salmon Release. 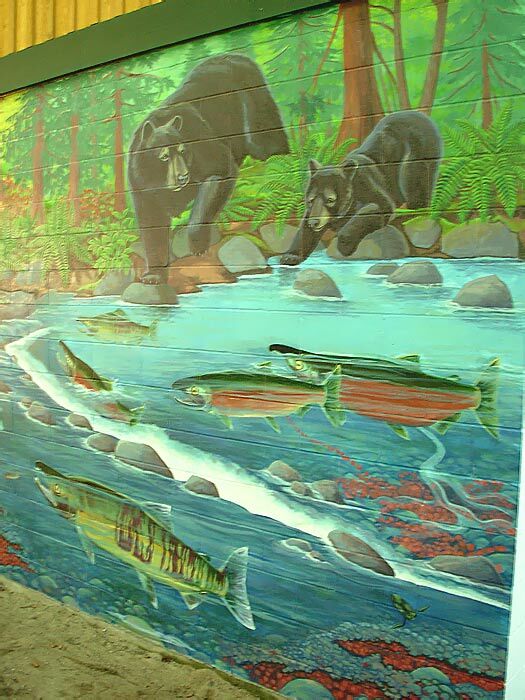 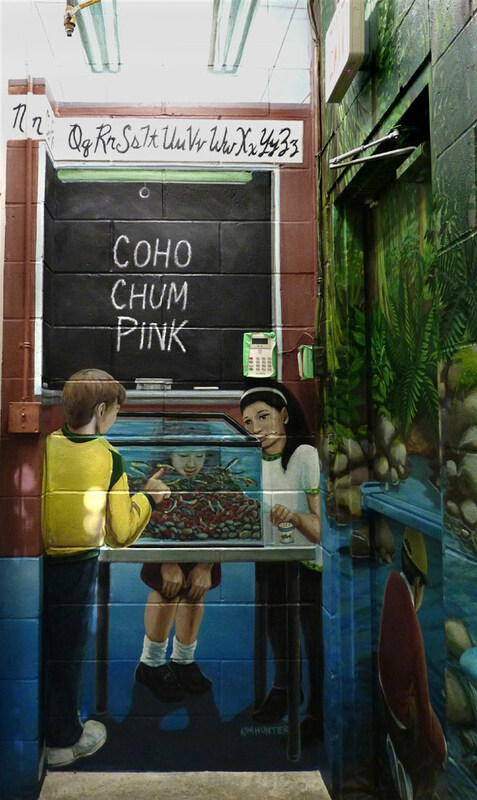 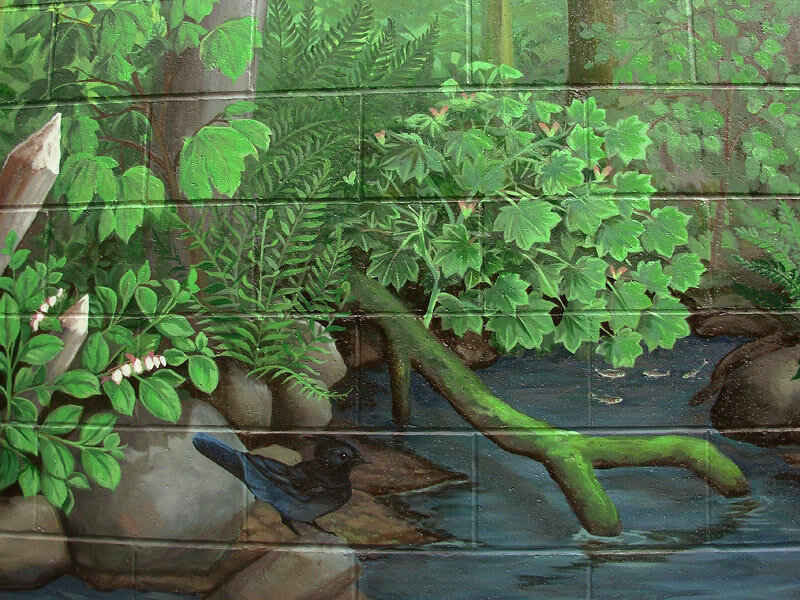 The stair landscape mural depicts the route the Chum Salmon will take to get to the ocean. 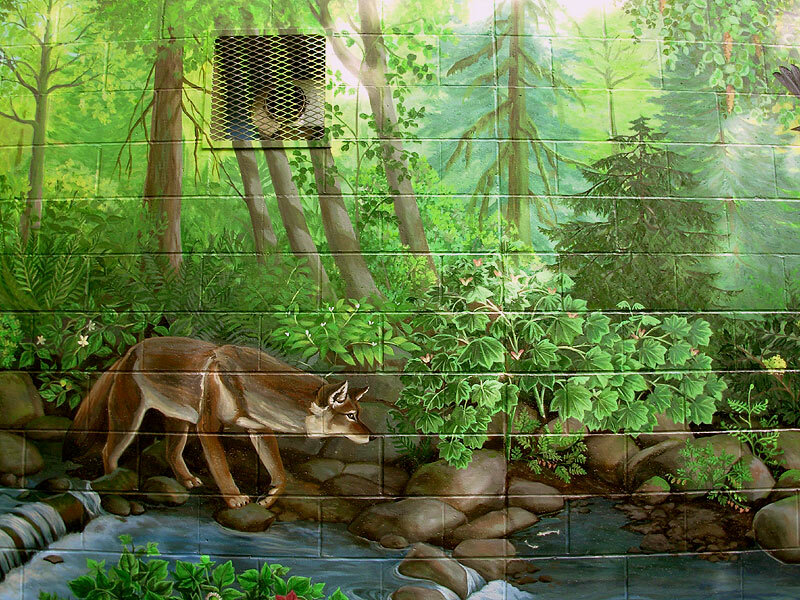 Oil on cinder block walls and aluminum doors. 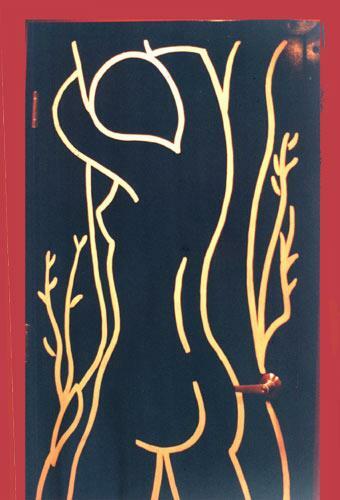 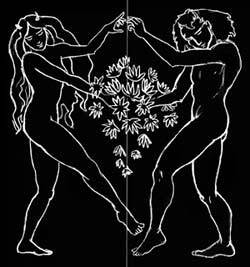 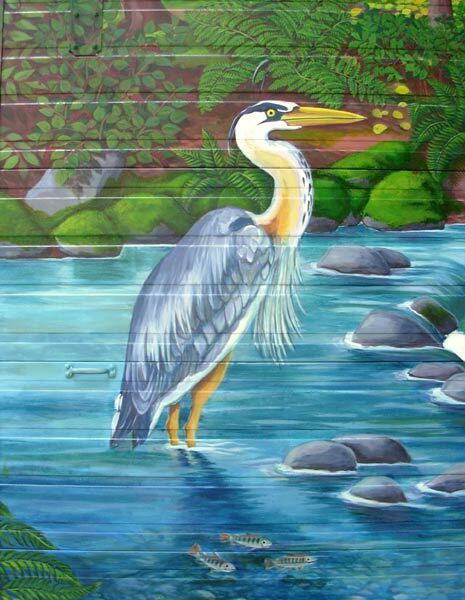 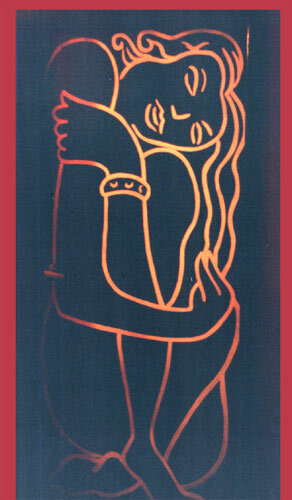 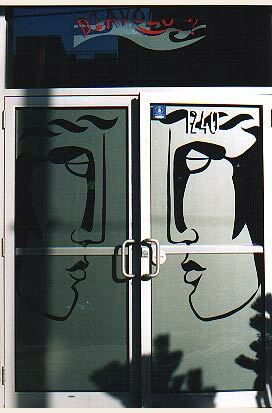 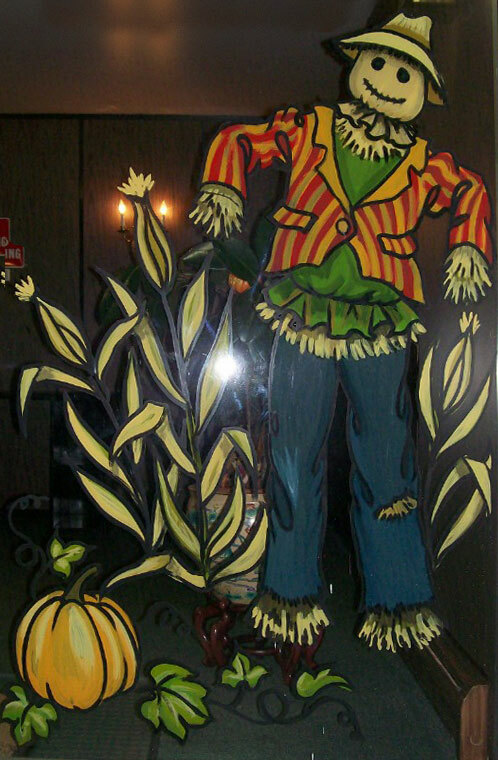 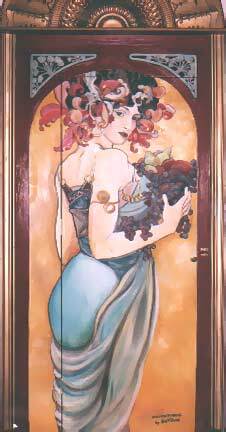 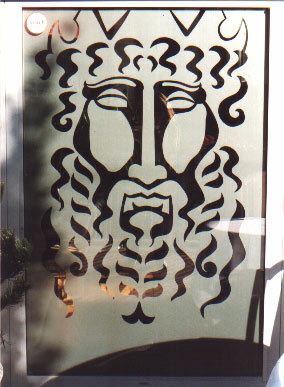 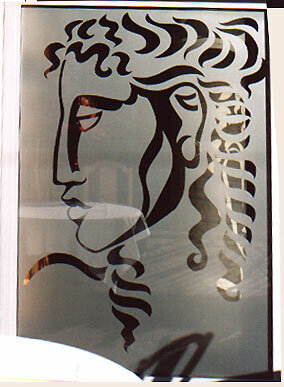 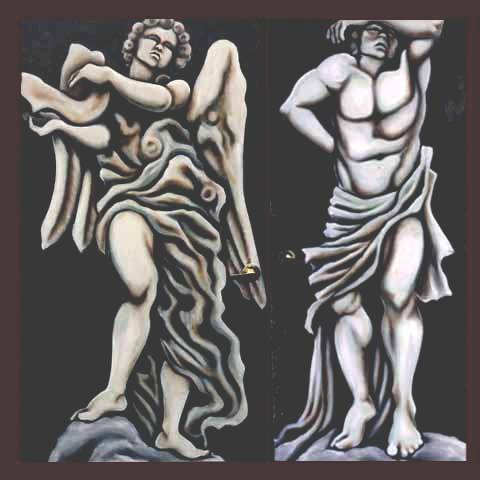 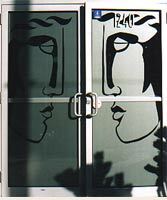 See Murals on Doors for more stylized murals like the ones featured here. 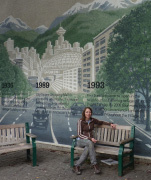 commercial art installations by Vancouver artist / designer Kim Hunter aka INDIGO. 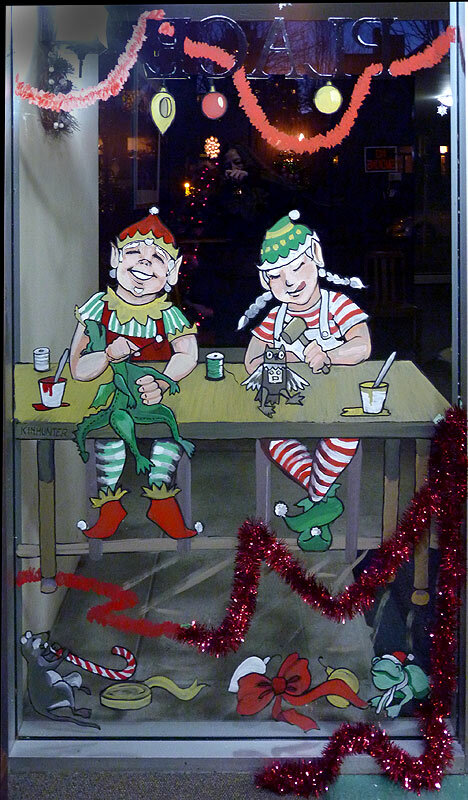 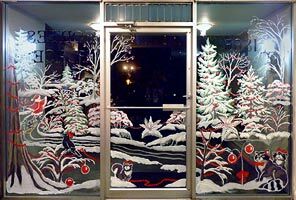 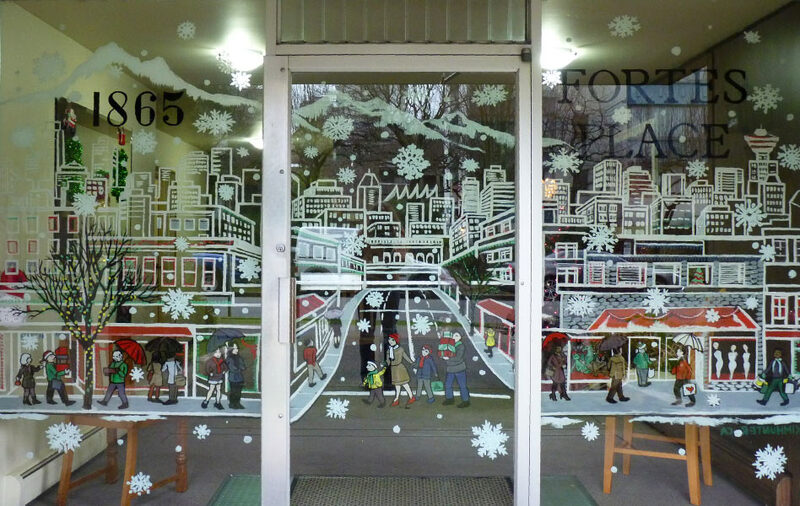 Seen here is just a small sample of nondenominational temporary holiday window paintings by Vancouver artist / designer Kim Hunter. 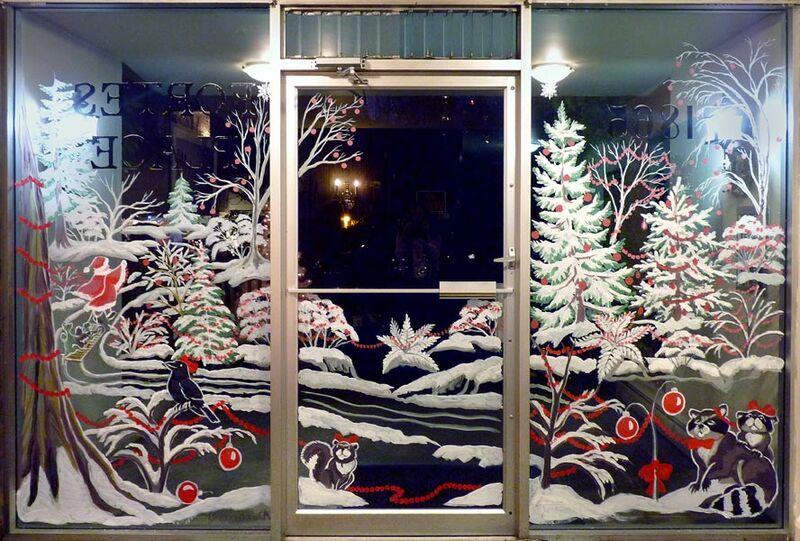 Festive non secular Vancouver winter landscape temporary window paintings available. 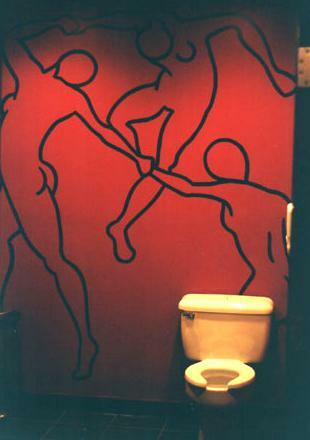 Book early. 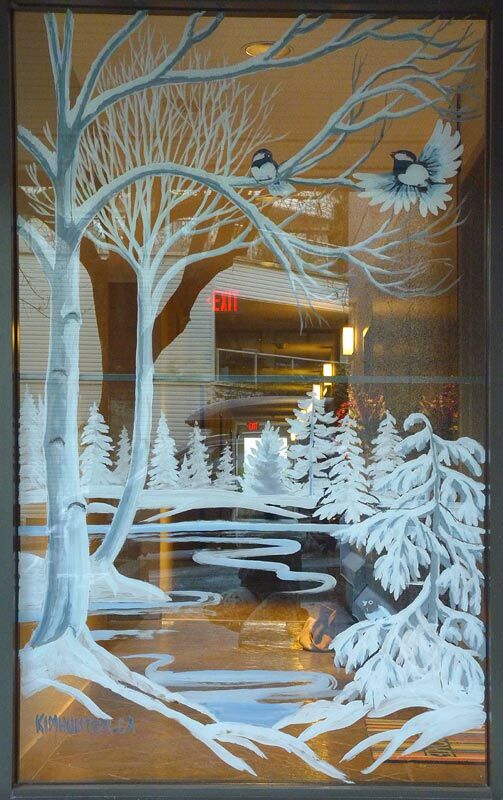 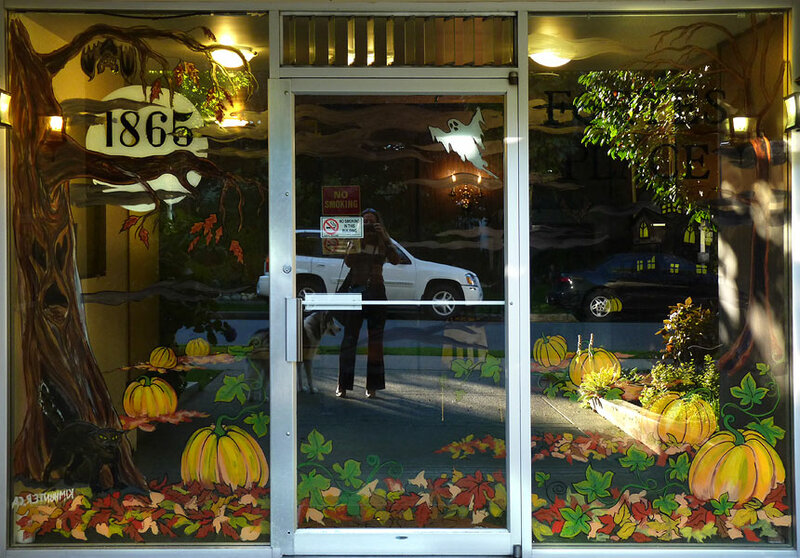 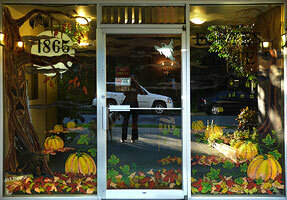 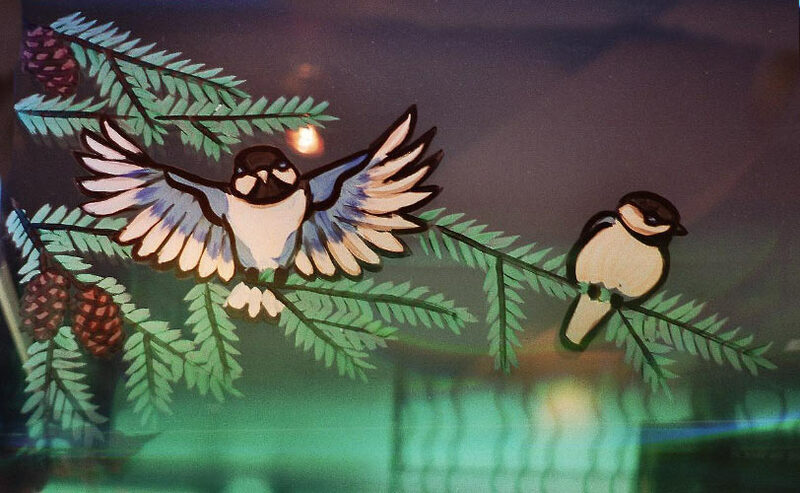 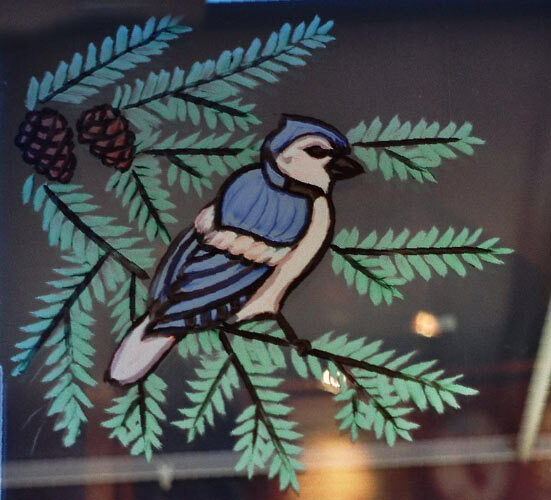 Seen here is just a small sample of window paintings by Vancouver artist / designer Kim Hunter. 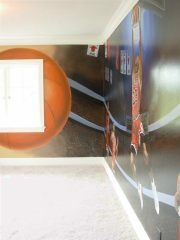 Contact the artist for a quote. 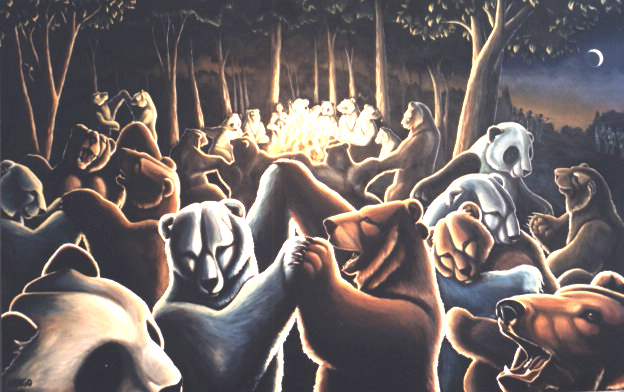 dancing bears gift shop, prints, greeting cards, journal & more! 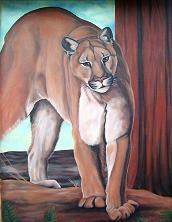 See more Commissioned Paintings in this series by Kim Hunter.